Do you remember the awkward growth spurt you experienced at puberty? Your hands and feet grew but your body didn’t catch up yet; Your face flared up with pimples; Hair started growing in all sorts of places it hadn’t been before. We’ve all been there. Companies go through this too. Sudden growth spurts can cause some disruption. As some of you noticed, we’ve had a bit of that lately at OwnerListens. We haven’t gotten any pimples yet but we have had a few problems getting some of you the texting numbers you need in the area codes you want. We get our virtual SMS numbers from external vendors. And since number availability tends to fluctuate, especially in high demand area codes, these vendors are not always able to get us numbers at the speed we require. We’ve been working hard to add additional number capacity and are happy to report we’ve added an additional large number vendor to our portfolio of options (with another coming very soon!). This will enable us to tap into more sources of numbers and result in more availability and choice for businesses working with us. Nothing changes in the signup flow for businesses. If you’d like a virtual SMS number for your business, simply sign up as usual. The number search will continue to occur in the background, just with more vendors. This won’t solve the problem of depleted area codes (such as 212), but it will provide more choice and lead to less instances of ‘no number found’ errors. . 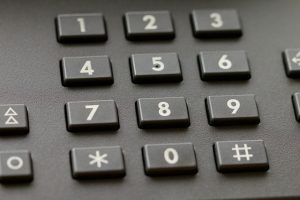 If you cannot find a suitable number, you can always text or call us at 650-825-1166 and we’ll do our best to get a number in your preferred area code. We have certain manual tools through which we can find numbers in area codes that the automated system cannot.